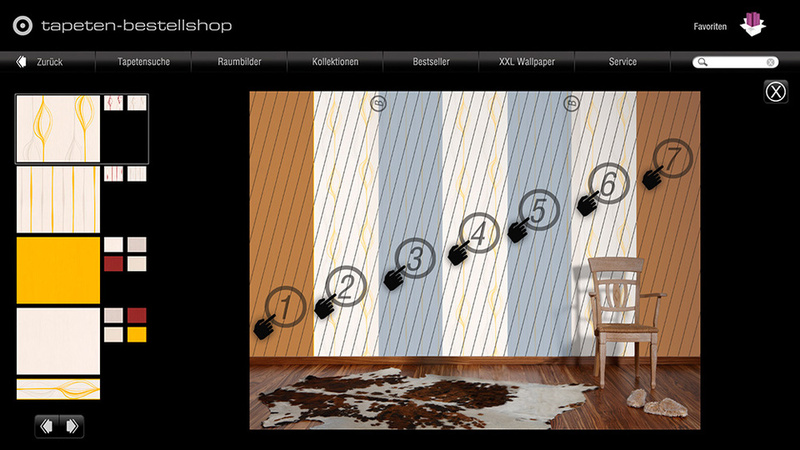 Innovative wall design with the “wallpaper order shop"
”wallpaper order shop” is an interactive sales advice tool that allows the end-consumers to view their wallpaper of choice in a home simulation and so obtain a better sense of how it will look on the wall. The program is based entirely on state-of-the-art touch systems that enable intuitive operation. 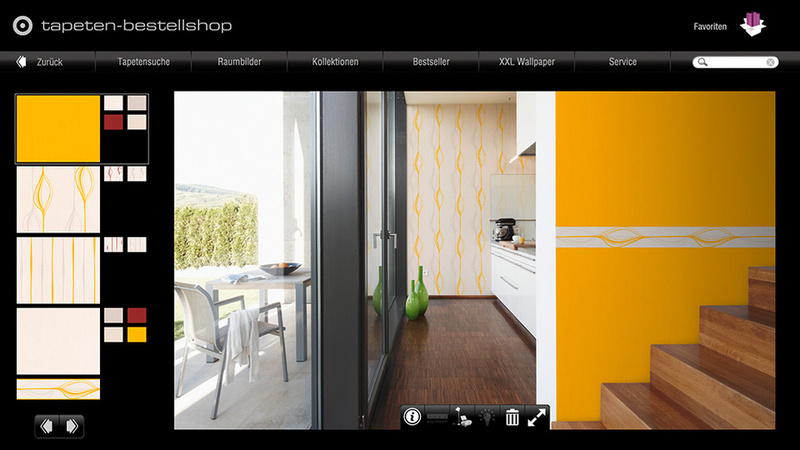 As well as looking at conventional pattern cards, the sales adviser and customer can, in the search for the right wallpaper, also leaf through the product range or, by entering keywords, narrow the search down e.g. 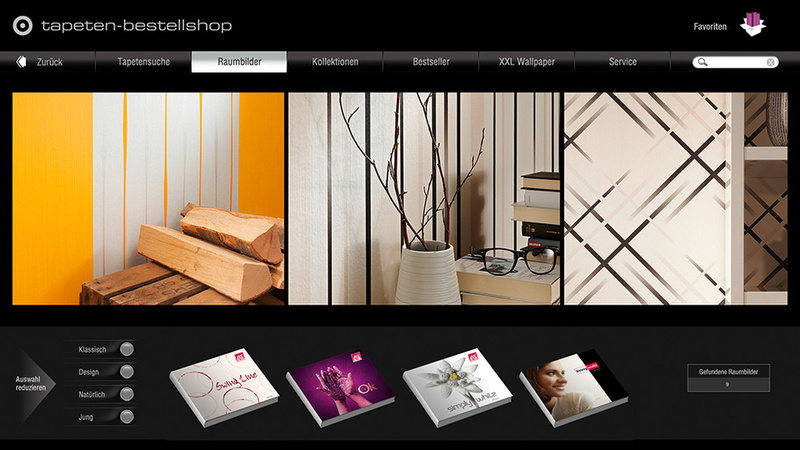 by selecting bestsellers or specific room moods. 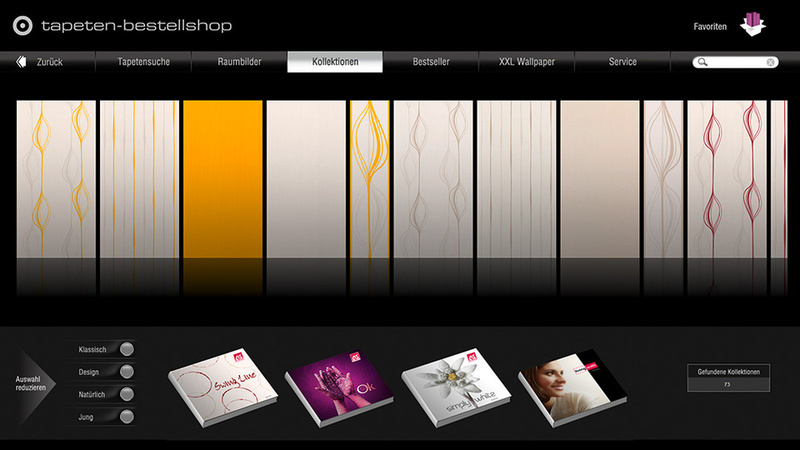 As a result, it is possible to access a range of over 5,000 wallpapers, borders and digital print articles with just a few clicks. 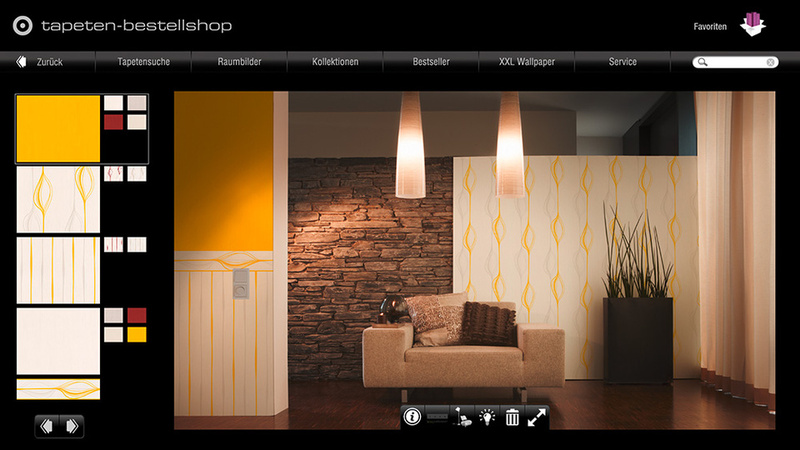 Starting from January 2013, it will even be possible to combine all the different product categories with each other in the room visualization. 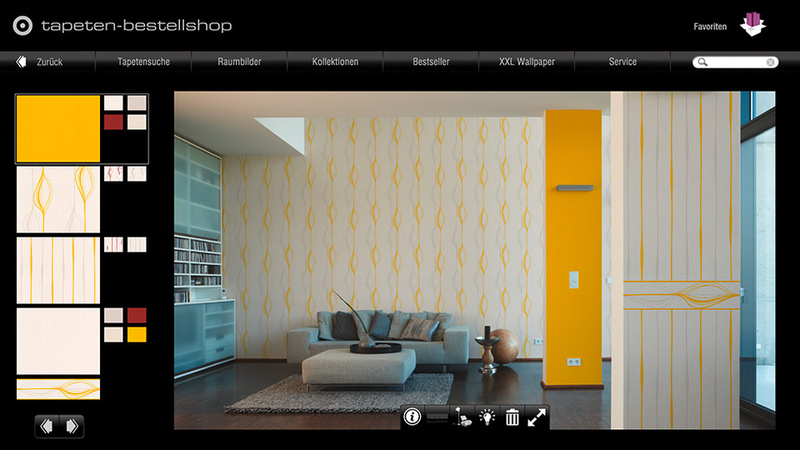 A wallpaper search can be simplified even further through use of the optional barcode scanner. In this case, various possibilities are available: Scanning the barcode on the back of the pattern card takes the customer straight to the corresponding collection, where it is possible to leaf through the contents. Other options are reading the barcode on the role insert or in the stamp on the back of our pattern cards. 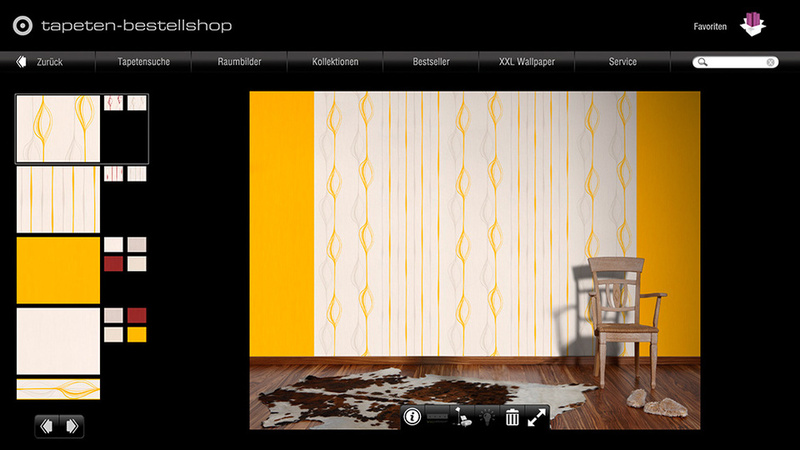 The scanned article is then simulated directly in the desired room mood. The visualization options also include the possibility to create different interior and light moods by simply swiping across the screen.